Check your board gmail. You should have received an email invitation, similar to the one shown (left). Follow the "Click here to get started" link. The "Click here to get started" link will take you directly to Weebly's sign-in page (as shown left). 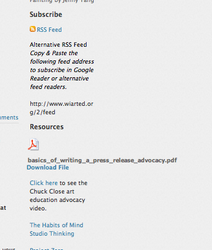 After you sign in, you will be able to choose your blog page to edit (as shown on left). 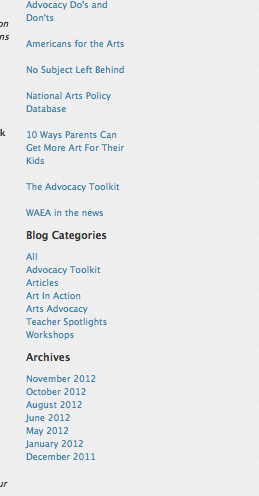 Notice the small 'pencil' icon next to your blog. That means you have access as an editor/author. Click on the highlighted blue name of your blog. Let's get acquainted with your new blog interface. All blog 'posts' appear on the left. Title, contact info, headshot, any buttons, resource links, RSS Feed, Blog Categories, and anything else belong on the right sidebar. 2. Paragraph with Picture for Headshot, name, title, and contact email address. *Optional addition of click to email button. 6. Any other choice design elements (such as youtube, gallery, etc). Click "New Post" to get started. Drag elements from the top media bar into your blog posting space. You may choose Basic, Multimedia, and more to add text, photos, files, youtube video, hyperlinks, etc to create multi-media posts. 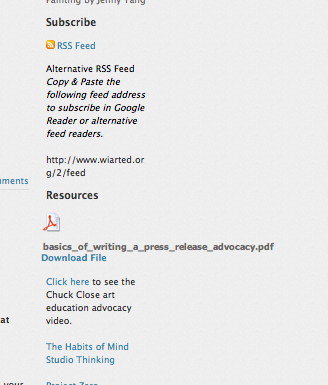 Add/assign a blog category to your post, such as "article" or "YAM." When done, always click "publish live" to finalize posts. Publish live publishes your posts. The other publish button (top right) of the Weebly screen is used to publish anything else on your blog (such as sidebar content, etc). If you added or edited your sidebar you will need to click on this button after clicking the "publish live" button. Congratulations!...you posted to your blog! 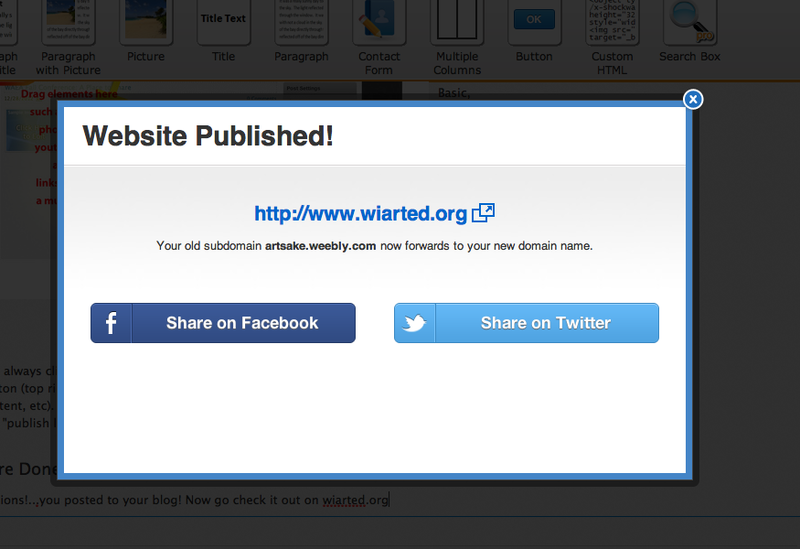 Now go check it out on wiarted.org via the blue link (shown below).